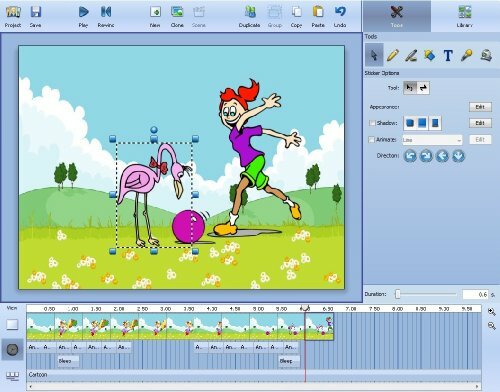 Frames is the perfect tool for cartoon and stop-motion animation. 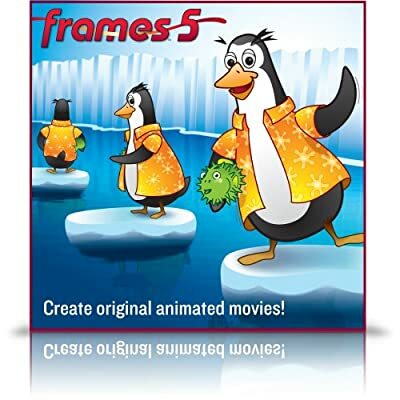 Frames combines illustration tools and stop-motion animation tools into one animation package. Use Frames to tell your animated stories using illustrations or digital photos. Cartooning: Use the drawing tools to create animation cels. Quickly duplicate animation frames and use the onion skin to line up your characters and adjust their movements. 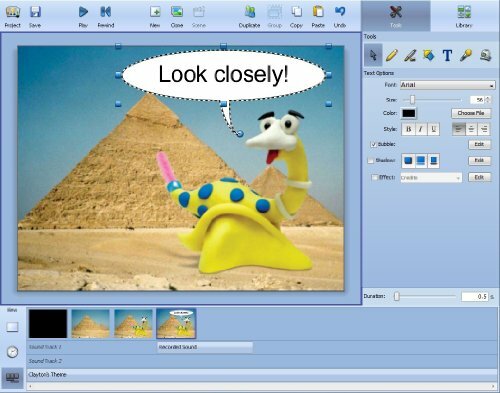 Stop-motion Animation: Animate clay characters or your Legos by capturing images from your web cam or importing images directly from your digital camera. You can drag and drop an entire folder of images from your camera and then record your narration and add background music directly from iTunes. Digital Storytelling: Use the chroma key to place yourself in anywhere in the world or in your own illustrated fantasy land. Tell your stories with text, pictures, and your own narration.